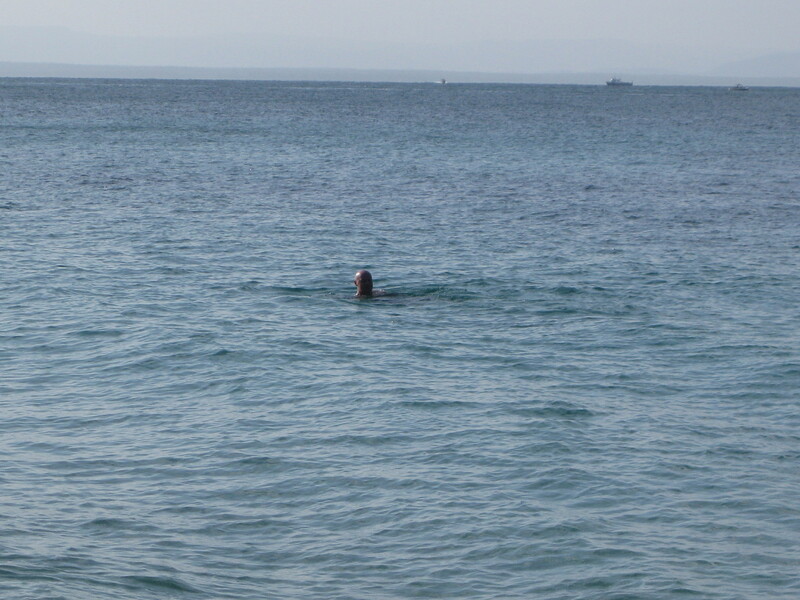 A bald head bobbing in the waves: the man I love, in the sea. It’s 2001: a beautiful, typical, Sydney summer’s day. The sun is blazing, the sky is endlessly blue, the smell of sunscreen is in the air, wafting along on the most gentle balmy breeze that gently caresses your shoulders and butterfly-kisses your face. An ice-cream, having toppled off the cone of some bereft child, melts on the pavement; a casualty of over-enthusiastic licking. There I am, getting ready for a day at the beach with the man that I’ve been seeing for two months, who I’m madly (secretly) in love with, having already (secretly) marked him as my husband-to-be. Of course I haven’t told him I love him – it has only been two months after all – but I can confess to silently mouthing “I love you” at the back of his perfectly smooth head, willing my words to telepathically enter his brain so he will understand – finally – and say it first. We towel dry and brush off the sand as best we can. Throw on our clothes and head to the Newport Arms for fish and chips. We stand by the fish and chip counter, in an embrace, staring into each other’s very souls. “Shall we order fish and chips?” I ask. But did he really? Had my ears deceived me? And then the silent, torturous, mental freak out: OH MY GOD! DID THE MAN I LOVE JUST TELL ME HE LOVED ME? I’M NOT SURE IF I HEARD HIM CORRECTLY. WHAT SHOULD I DO? WHAT SHOULD I SAY? We ordered fish and chips. We carried it down the stairs. I hadn’t responded yet. I couldn’t bear it. And before I had a chance to engage my brain, I asked this question. Blurted is more appropriate. Seven words that rolled off my tongue and fell out of my mouth, before I could stop them. Cue long, nausea-inducing, awkward pause. ← Stalking, talking and too much coffee: How I met my husband. I love your writing, thanks for the laugh.